in his list of priority areas? These and many more issues may be dealt with by the FM. With the General Elections to Lok Sabha around the corner, this is likely to the last budget of the 16th Lok Sabha led by Prime Minister Narendra Modi. This combined with reports of rising fiscal deficit and low GDP growth rate has put a lot of pressure on the government to present a budget that will ensure it has enough money for its populist schemes while also bringing the economy back on track. A proposal was recently made to the finance ministry calling for expanding the exemption limit from Rs 2.5 lakh per annum to Rs 3 lakh, if not Rs 5 lakh. Experts believe that Arun Jaitley might deliver this on February 1 as a sop to voters ahead of next year's General Polls. After all, that's what India has clamouring for since the run up to Budget 2017. Among others, even tens of thousands of PSU employees will be benefited from this move. The Centre might announce a comprehensive policy on strategic sale of sick PSUs. The strategic sale policy will continue next fiscal but it will be modified to suit current realities and focus on unviable units. A big-ticket disinvestment, including strategic sales in high-value PSUs such as Bharat Heavy Electricals Limited (BHEL), and oil and defence public sector units (PSUs) such as Oil and Natural Gas Corporation (ONGC), Indian Oil Corporation (IOC), etc will be top priority area for the Union Minister. A number of PSUs have already been identified as loss-making and it would be better even in terms of the Exchequer to go ahead with strategic sale in them. The government is also likely to announce a comprehensive package for the revival or closure of loss making PSUs. The government has already begun the process of closing down sick PSUs such as three unviable units of HMT, including the once popular HMT Watches, along with HMT Chinar Watches and HMT Bearings. The Department of Public Enterprises — the nodal agency for all central PSUs – already has in place a list of loss-making firms that are close to six dozen. At present formal sector workers with five or more years of service are eligible for Rs 10 lakh tax free gratuity after leaving their jobs or at time of superannuation. The Payment of Gratuity (Amendment) Bill, 2017, which is likely to be passed in the forthcoming Budget session, will make formal sector workers eligible for tax free Rs 20 lakh gratuity, at par with central government employees after implementation of the 7th Central Pay Commission. The amendment will also allow the central government to notify the maternity leave period for "female employees as deemed to be in continuous service in place of existing twelve weeks". This comes against the backdrop of the Maternity Benefit (Amendment) Act, 2017 enhancing the maximum maternity leave period to 26 weeks. The Centre may also roll out a roadmap to sell off loss-making PSUs, to generate revenues for 2015-16. The list of PSUs to be privatised will be shortlisted soon, and a plan about which ones to be taken up in the first stage is being finalised. The government has already made it clear that it will shut some of the sick PSUs that are no longer sustainable. But the finance minister has also expressed readiness to look at privatisation of some loss-making public sector companies. Will he spell out some concrete measures? For this we have to wait till Feb 1. Will the government unveil any comprehensive bailout package for the ailing PSUs? Former NTPC chairman Arup Roy Choudhury committee advocated involvement of some profit-making central public sector undertakings (CPSEs) in aiding the revival of the sick ones. Time and again the government has been announcing revival packages for the sick PSUs but a detailed and comprehensive policy is yet to be announced. There might be a big announcement about possible listing of profitable PSUs on stock exchanges through public sales of shares. The government will invite global companies to bid for its stakes in such companies with the aim of inducting cutting edge technology and improving corporate governance in them. Though the Centre has already approved disinvestment in the national carrier, a revival package to Air India can't be ruled out given the fact that a robust carrier will attract more funds including from foreign sources. Recently, Cabinet has approved up to 49% FDI into Air India. Revival of Sick PSUs: Another area that might draw the attention of the Finance Minister is the sick PSUs. A comprehensive package including that of package and disinvestment may be spelled out in the Union Budget. The Finance Minister may make some big announcement on merger of PSU banks in lines with the merger of SBI’s subsidiary banks with it. Earlier, on November 1, Jaitley- headed a ministerial panel on consolidation of PSU banks has been empowered to direct lenders to examine proposals for amalgamation. Jaitley had earlier said that bank recapitalisation will be among the top three priorities for the government for the fiscal year 2018-19. 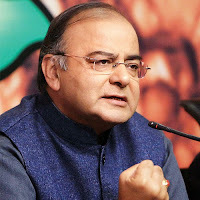 The Finance Minister headed Alternative Mechanism (AM) will receive inputs from the Reserve Bank of India (RBI) before according in-principle approvals. The AM would devise its own procedure for appraisal of amalgamation proposals by banks, and be guided overall by the objectives of the Nationalisation Acts [Banking Companies (Acquisition and Transfer of Undertakings) Acts, 1970 and 1980]. The Union Cabinet in August had decided to set up an Alternative Mechanism to fast-track consolidation among public sector banks to create strong lenders.